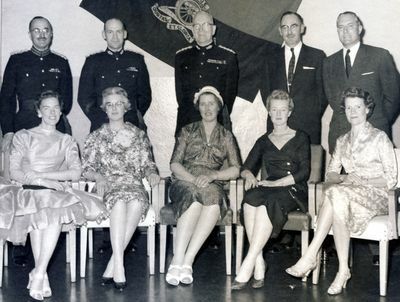 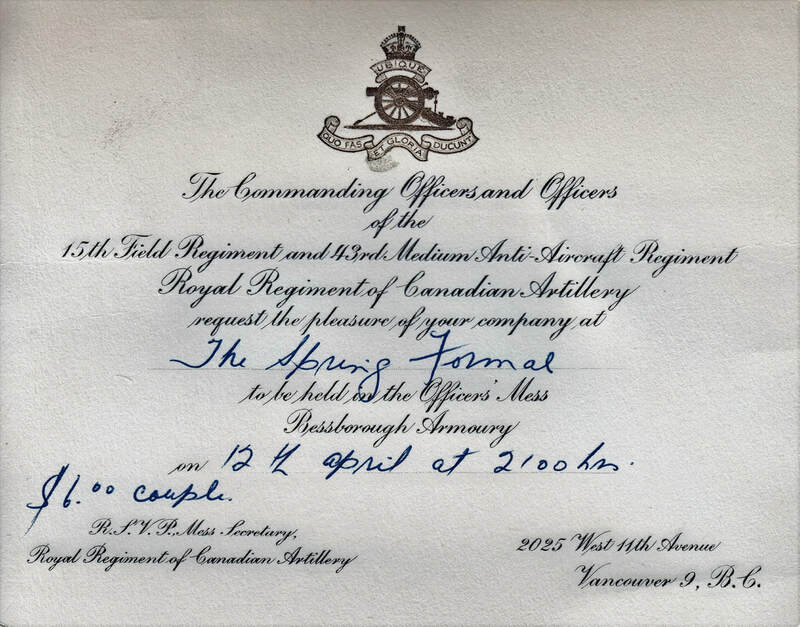 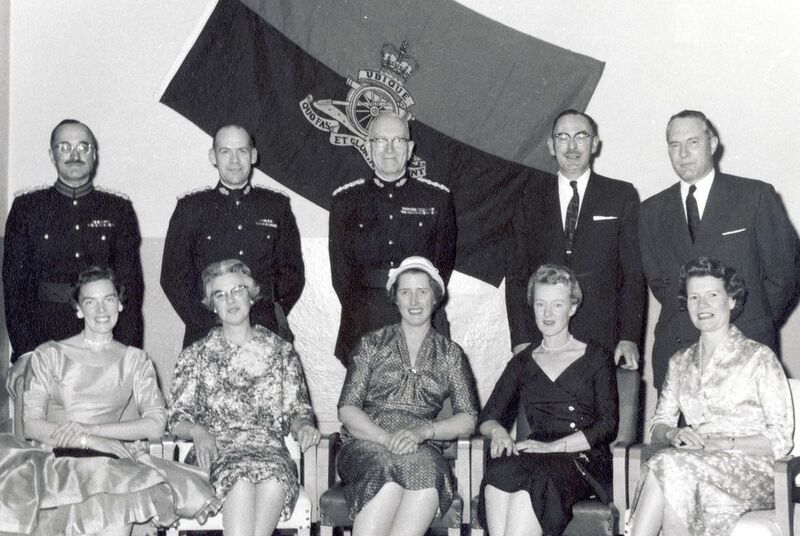 We're not sure of the event, but the first two photos are accessioned 1958 - Commanding Officers & wives. That would be Brigadier & Mrs Theo Dumoulin, Lieutenant-Colonel & Mrs Jackson, Honorary Colonel Aenus & Mrs Bell Irving, unknown gentleman and Lieutenant-Colonel (ret) & Mrs Ken Beckett. 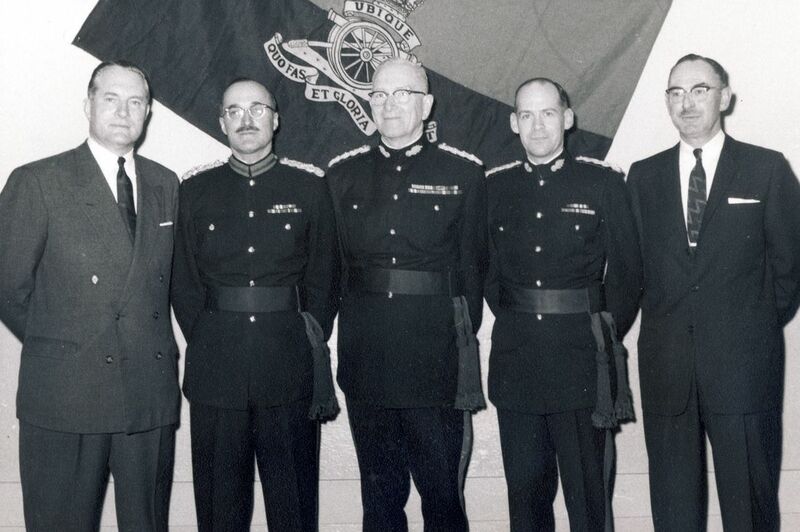 The 3rd photo has no date but certainly appears to match the others! 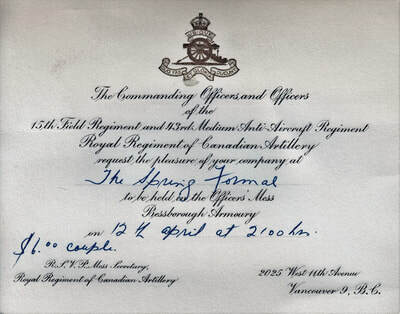 Could this be the Spring Formal referred to in the invite? 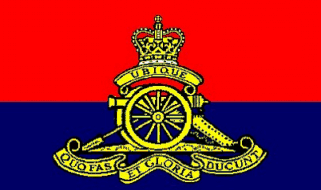 The opening of the Armoury 25 years previously is remembered by the media.